"Know you are in our thoughts ; prayers- sending you love &..."
"Dear Betsy and Brook, My hear goes out to each of you for..."
"Dear Betsy and Brook, Sending you my deepest condolences. ..."
KENNEBUNK - Elaine Ivarsen Vivian, 97, passed away peacefully Sunday, Sept. 9, 2018, at her home in Kennebunk after a long illness. 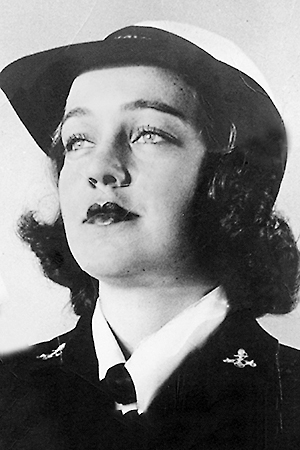 Born and raised in Baltimore, she served as a WAVE during World War II. She was, for many years, an able financial secretary in schools on Long Island, N.Y., and in Massachusetts. Elaine leaves a loving and grieving husband and daughter, Philip "Brook" Vivian Jr., and Betsy Ann Schaeffer. To share a memory or leave a message of condolence, please visit Elaine's Book of Memories Page at www.bibberfuneral.com.